Fulgurite is the name given to tubes formed when lightning strikes sand or soil. Lightning carries extreme amounts of static energy that gets released in one very small spot where lightning hits. For nearly an instant, the surface becomes hotter than the surface of the sun and crystallizes immediately. The heat of the bolt vaporizes the center of Fulgurite, leaving it with a tubular form. These tubes have also been referred to as “petrified lightning” and “fossilized lightning”, but its name comes from the Latin word “fulger”, meaning “lightning”. 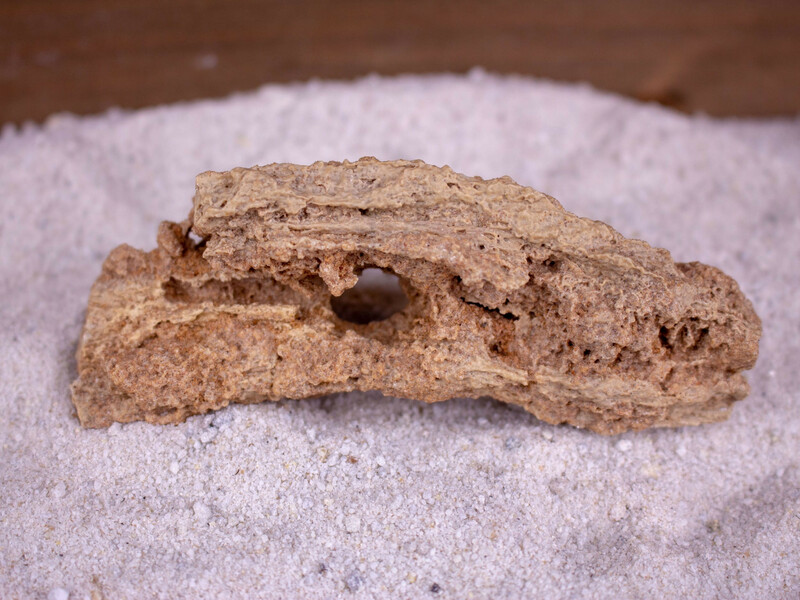 Fulgurites are commonly found in 1” to 3” pieces, but can be found as big as 5’-10’. Most of the time the larger pieces are extremely fragile and near impossible to unearth in one piece. 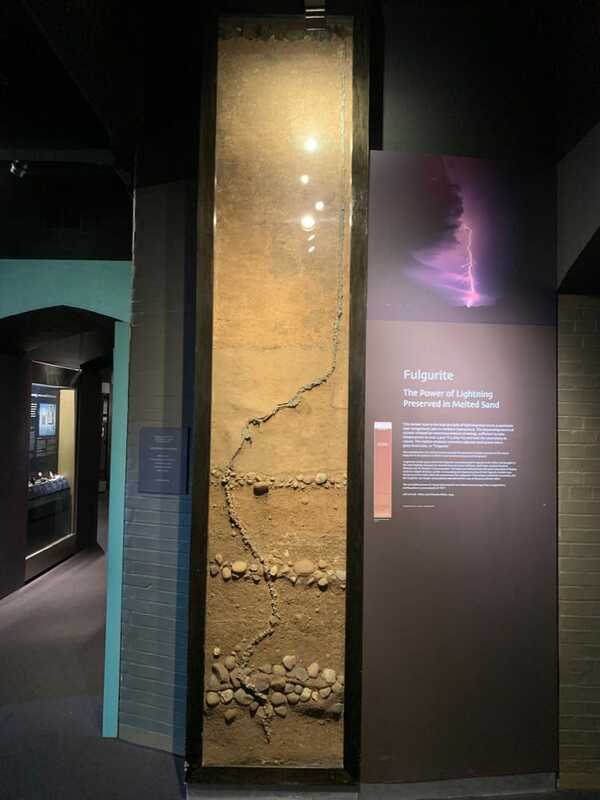 The Yale Peabody museum located in New Haven, Connecticut has one of the largest pieces of Fulgurite at 13’. A photo that we were able to capture of it in person is located below! Fulgurite is one of the most power manifestation tools The Council knows of. Imagine these tiny tubes as potions full of pure energy just waiting to be released. We recommend grasping these amulets firmly and saying aloud what you wish you will achieve in this world. Let the universe hear you as you set your intention into these tiny treasures. Fulgurite has been known to bring intense energies and extreme experiences to anyone whom it may come in contact with. Even people who are less in touch with themselves and are normally unaffected by crystal activity will have a hard time denying what they feel. When meditating with Fulgurite, all chakras align and the user becomes imbued in a vortex of high frequency energies. These vibrations purify and cleanse your entire aura, while rejuvenating your Divine Will. Due to the free-willed power that these crystals radiate, its very common for users to have an “awakening” and follow their true life path after meditations. A new found creative energy will soon flow through the veins after working with this stone, breaking down self imposed barriers created out of fear. Fulgurite works exceptionally well when used in conjunction with Moldavite. These stones together enhance ones transformational process and puts us on the path to achieving our highest dreams and ambitions. Both stones are very strong to the touch and offer immense energy output. If it is ever too much energy for you, place a grounding stone such as Hematite or Garnet near these crystals to allow a gentle, relaxing experience. 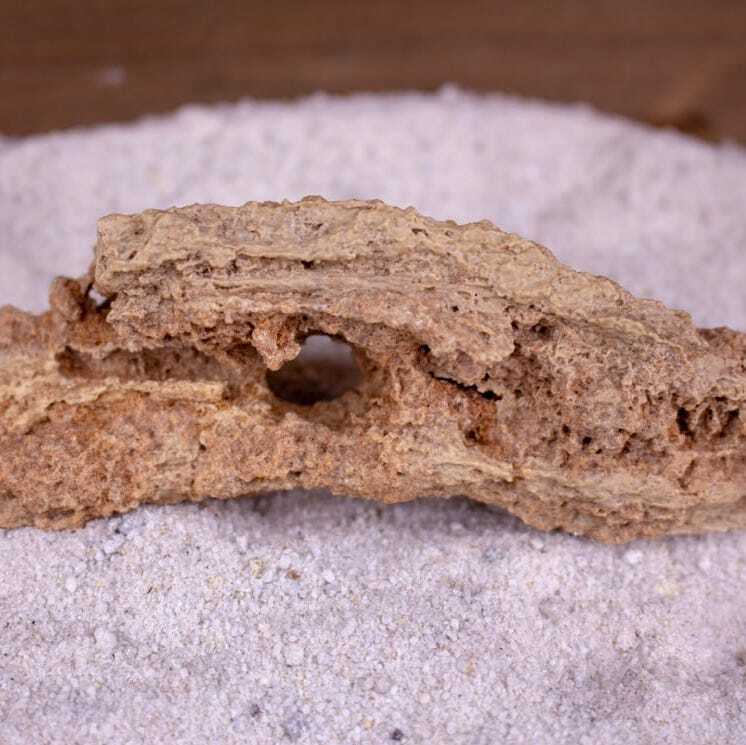 Class 1 - Sand Fulgurite: These specimens are very brittle and the most commonly found. 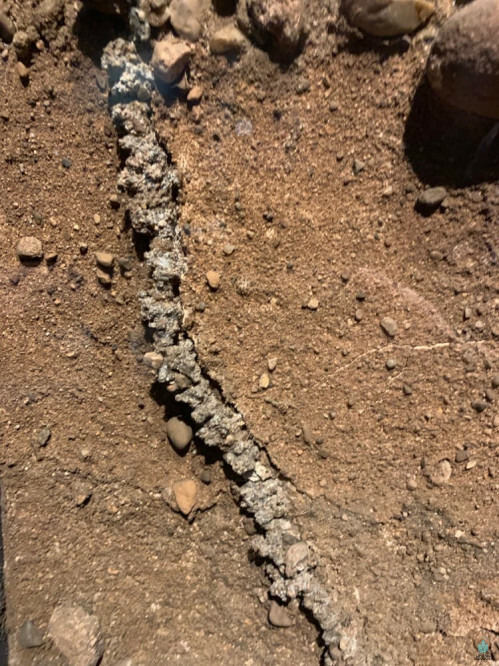 Class 2 - Soil Fulgurite: These are mainly glass-rich tubes that are formed when lightning hits clay-rich soil or gravel-rich soil. Class 3 - Caliche Fulgurites: Caliche is a sedimentary rock that is generally found in dry and arid places. Called natural cement, most deserts across the globe naturally have an abundance of Caliche. The shape that is created from the lightning bolt varies when it comes to this class. These Fulgurites have very clean, narrow channels running throughout. Class 4 - Rock Fulgurites: When lighting strikes rocks, multiple small narrow channels are created as if when the bolt hit, it created a “splash effect”, due to the hardness of the rock. Class 5 - Droplet Fulgurites: (Exogenic Fulgurites). These specimens composition are very similar to class 2 and 4, but forms botryoidal on the surface of what it hits. It’s described as the lightning not being fully absorbed into such a hard surface instantly, causing an ejection and bubble effect. Fulgurites have been very important for scientific research. One purpose in which they are used is tracing the history of lightning activity here on earth. For example, the Sahara Desert rarely has any lightning strikes yet is one of the most abundant places for Fulgurite to be found. This tells researchers that at one point in our planets history, the Sahara Desert was an epicenter for lightning activity.